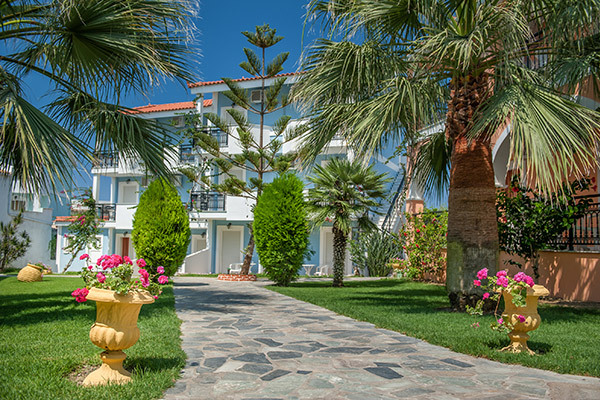 Live the vacation of your dreams at the Dream Studios in Tragaki village in Zakynthos, Greece. The Dream(Oniro) Studios as the name indicates (oniro=dream, in Greek), will make your summer holidays in Zante a wonderful dream. The Dream (Oniro) Studios is aiming to offer you excellent hospitality in an idyllic environment. 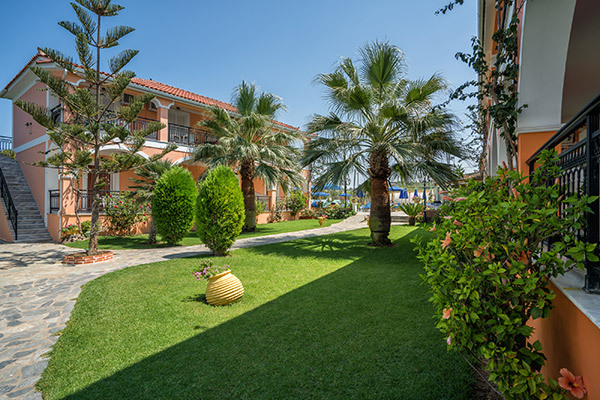 With comfortable, clean rooms, cheerful colors, surrounded by sleek gardens and colorful flowers The Dream (Oniro) Studios, is ideal for families or couples who want to spend their summer holidays in Zakynthos in a calm and relaxing place. Here, each customer is special, as you will realize by the hospitality of the owners, as they always have a smile and are eager to assist you in whatever you need. 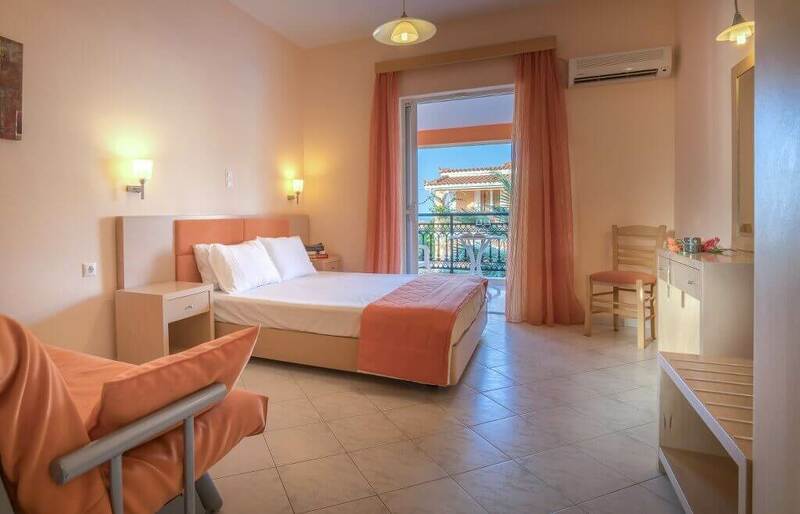 Book now accommodation for your next Zante holidays in Oniro Studios and experience Tragaki's relaxing atmosphere! The Dream Studios is a family run complex with spacious studios, a reception area, swimming pool, restaurant and snack bar. It is located in the village of Tragaki surrounded by a green natural environment, just a 10 minute walk from a quiet stretch of sandy beach with clear blue waters. There is a mini market across the road and there are several traditional tavernas with local delicacies close by. Many of our guests return year after year for their summer vacation. Come and enjoy a dream holiday by the sea you will never forget. Spacious and comfortable, self catering studios that can accommodate up to 3-4 people (3 adults ή 2 adults & 2 children). Enjoy some sun on the free sun loungers by the pool as well as delicious snacks and refreshments.